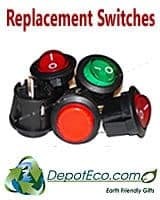 It’s easy to replace your Easy Valve bags, and get a much longer life out of the mouthpiece. I love the easy valve for many reasons, but the wasteful nature of single use was troubling. Using this trick I’ve been able to clean and keep using mouthpieces 20+ times over. 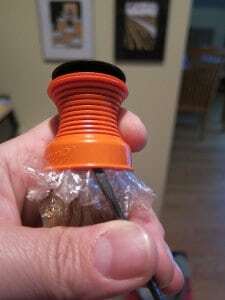 Learn how to replace your easy valve volcano bags right here. 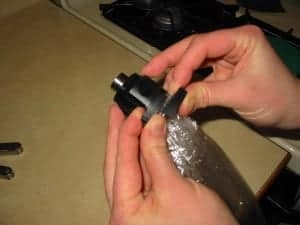 According to this, replacing the bag on your easy valve is possible. Update: it is indeed possible! I replaced the bag easily in a few minutes. There’s nothing to clean… it really is the easy valve. 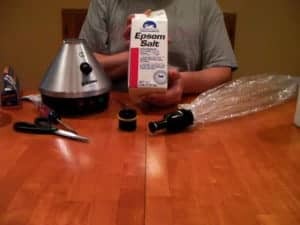 At last here’s a complete video tutorial of taking apart, cleaning and re-assembling the complete Volcano Vaporizer. The video runs 9:45 and is available in full screen. You can also consult the Volcano Vaporizer cleaning photo guide for more detail. Continue reading to start watching the video. Clean Your Volcano! How Often? How often you take apart and clean your Volcano depends on frequency of use, and personal preference. There’s some debate on the best cleaning solution for using on your vaporizer – Volcano or otherwise. Good Old Hot Water – Hot water will easily remove gunk from glass and metal. However all that hot water can make for some nasty burns. 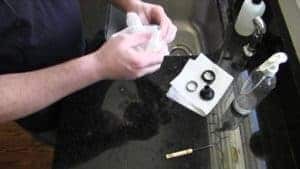 Cleaning your new Volcano vaporizer can be a bit intimidating at first, with all the pieces and parts – but the cleaner you keep it, the better it will work. Here are a few basic tips for cleaning your vaporizer. Mark on New Thoughts on Volcano Vaporizer Temperature Setting – 6! Makes volcano leftover butter making a breeze!